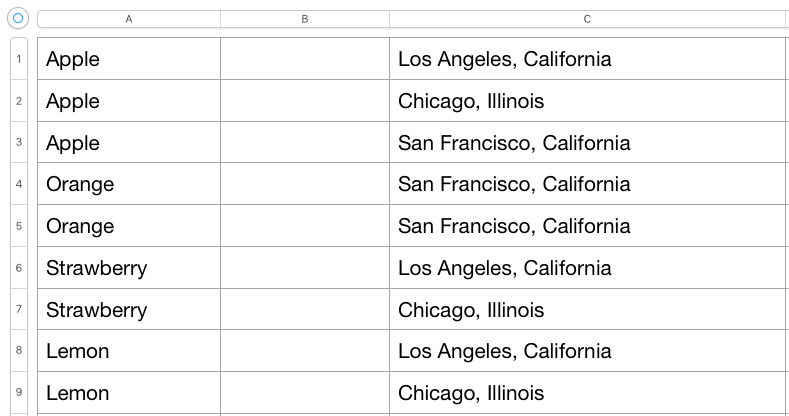 With Multiregional Keyword Tracking you'll be able to track keywords in multiple regions in your Unamo SEO campaign. Multiregional tracking only applies to Google; however, with a variety of local search engines in various countries, you can check the success of a keyword in one region against its success in another. You will also be able to view keyword rankings for each region in aggregate in your overview section. Simply select a specific region, all the regions, or multiple regions to view their average rankings. 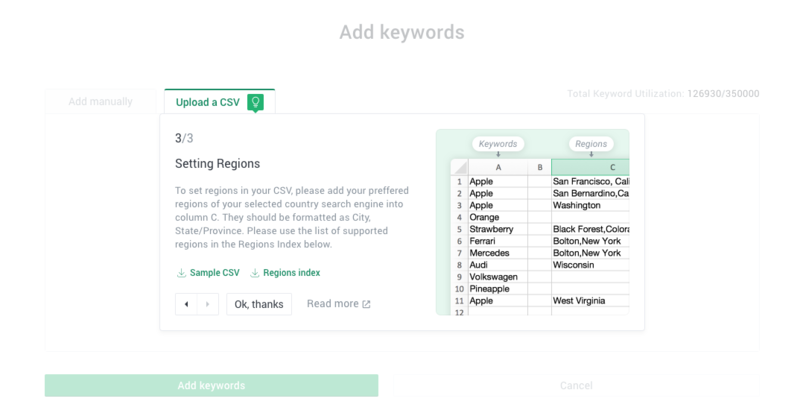 To track your keywords in multiple regions from your keywords section, simply click duplicate and select the region(s) you would like rankings for. If you would like to collapse the Regions column, you can do so by clicking on the book icon and deselecting Regions. Hovering over the arrow next to the keyword will display the region it's currently being tracked in. 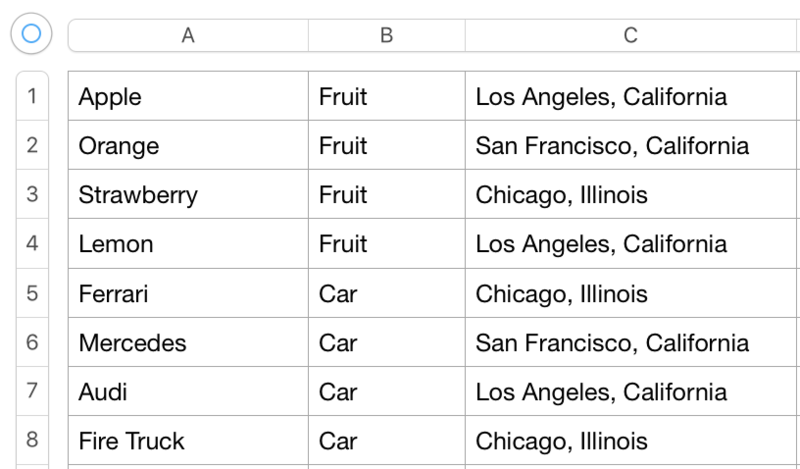 When adding keywords, you can now select the region(s) you want the keywords to be tracked in. 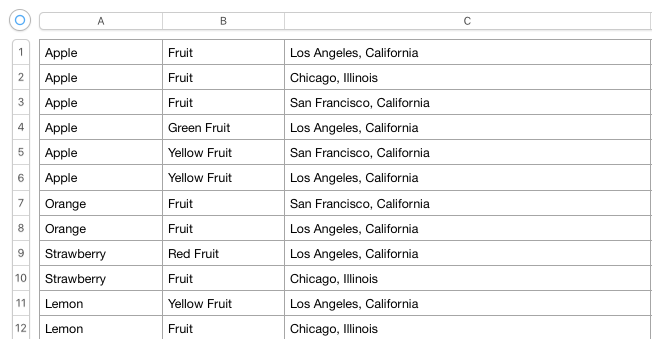 To set regions in your CSV, please add your preferred Regions of your selected country search engine into Column C.
They should be formatted as City, State/Province.